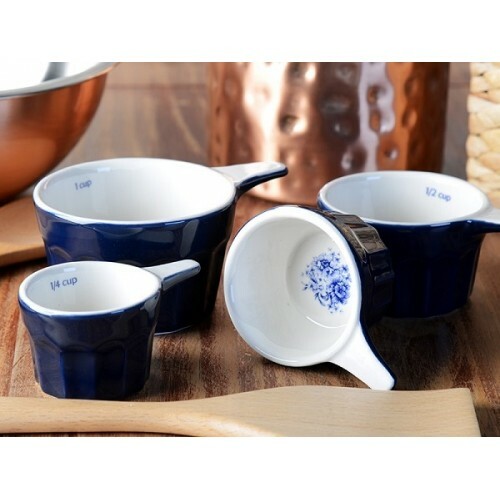 Country Kitchen Stoneware set of 4 Measuring Cups have been carefully created by Creative Tops. Inspired by the original machine printed floral pattern wallpaper, dated late 19th or early 20th century in the collection at Oxburgh Hall in Norfork, we have lovingly created ceramic shaped for the modern home. 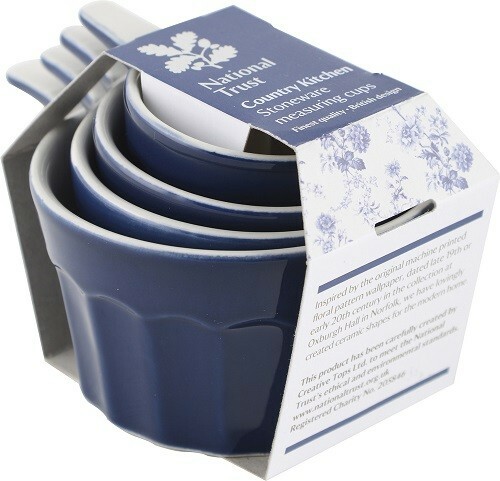 The perfect baking accessort, a set of four stoneware measuring cups with floral detail made from stoneware, part of The National Trust kitchen collection. The National Trust have been dedicated to protecting our countryside and heritage since 1895 and this product has been carefully created by Creative Tops Ltd. to meet the National Trust's ethical and environmental standards. 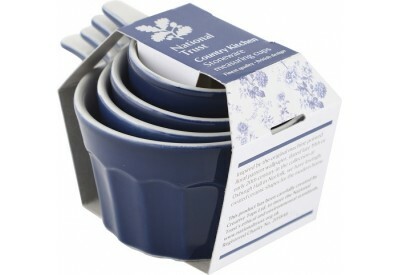 The perfect baking accessory, a set of four stoneware measuring cups with floral detail made from stoneware, part of The National Trust kitchen collection. Inspiration for our ‘Country Kitchen’ collection came from a beautiful wallpaper in the collection at Oxburgh Hall, a National Trust property in Norfolk. We’ve been dedicated to protecting our countryside and heritage since 1895 and this product has been carefully created by Creative Tops Ltd. to meet our ethical and environmental standards.